Vuly CEO a finalist for Young Business Person of the Year. 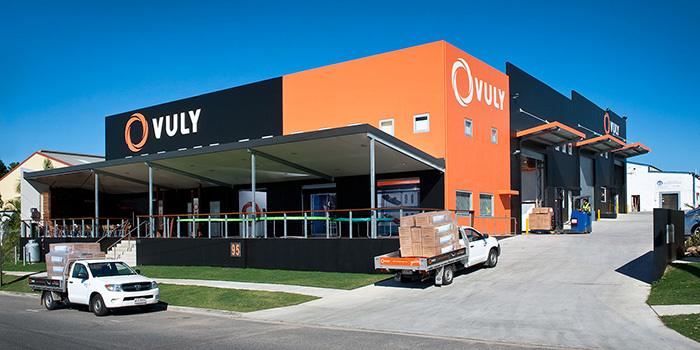 Vuly Trampolines CEO a finalist for Young Business Person of the Year. We want to say a big congratulations to Vuly Trampolines’ CEO and founder, Joe Andon, who has just been announced as a finalist for the Singapore Airlines Award for Young Business Person of the Year at the 2015 Lord Mayor’s Business Awards. Joe will now progress to an interview judged by Managing Directors from a range of national businesses, like Channel Seven, Reload Media and Optus. He’s worked incredibly hard to build Vuly into the efficient and innovative company that it is today, and we’re proud to see Joe recognised for his effort. Joe was only a forward-thinking and passionate teenager when he started what would become Vuly Trampolines in his Brisbane bedroom in 2008. With a dream of starting his own company, Joe recognised a gap in the market for high quality, professional-style backyard trampolines that simply wasn’t being filled. Not long after, he began blocking up his suburban street with delivery trucks! For the company’s first year, deliveries consisted of Joe and a group of friends driving and unloading along the Queensland coast from the back of an old van. The first container shipment was almost surreal—just a couple of young guys standing in a field, ready to unpack with nothing more than muscle and a few beers. Joe’s mission for Vuly Trampolines has always been simple: to change trampolines. He wanted (and still wants) to raise the standards of the industry, and to be at the forefront of trampoline design and safety developments. Not until the stereotype of the sad, old backyard trampoline—poorly constructed and rusty—is erased, will Joe be happy. By continuing to push the limits of engineering, design and technology, Joe’s goal, which everyone at Vuly shares, is to create the world's most amazing trampolines. We think that this has already started to come to fruition, with the Thunder and Vuly2, but there’s always the opportunity for more innovation. 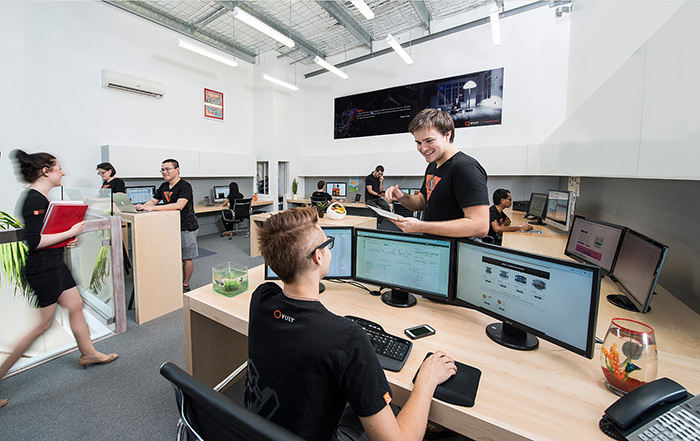 Our R&D lab is always buzzing! At only 25, Joe has built a company with a strong community-minded culture, that is represented in over 400 retail stores across Australia and that is expanding internationally every day. He’s overseen the design of the world’s most advanced trampoline, the Thunder, and sponsored world-class athletes at the Gymnastics World Championships. 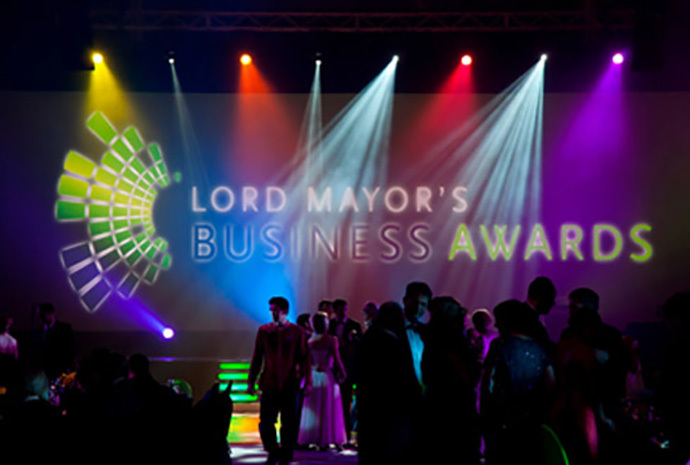 Joe is extremely honoured to be a finalist at this year’s Lord Mayor’s Business Awards. Good luck to all the other extraordinary Young Business People going into the finals interview. We’ll update you in the coming weeks!